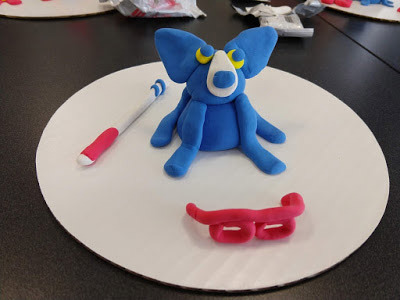 Lighthouse Campers use Crayola Model Magic to create small, three-dimensional Blue Dog sculptures. 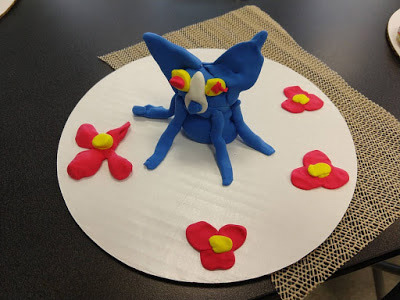 Last week the George Rodrigue Foundation of the Arts was delighted to lead a sculpture workshop for Summer Campers at Lighthouse Louisiana, a passionate organization that empowers people with disabilities through employment, services, and advocacy. Camp Lighthouse is an action packed month of adventure for young participants, all of whom have some level of vision impairment. 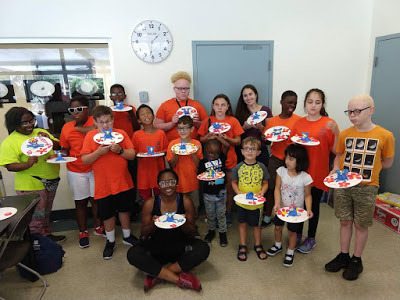 Lighthouse Campers and GRFA’s Rachel Gaudry pose for a group photo with their finished Blue Dog projects. To learn more about the mission and programs of Lighthouse Louisiana, visit www.lighthouselouisiana.org.